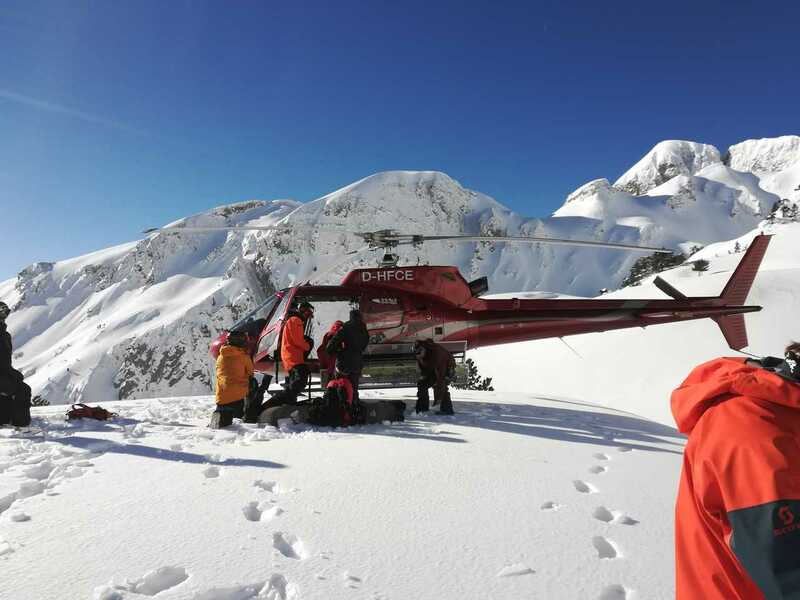 Follow IFMGA-certified mountain guide Rok on this helisking week-trip in Eastern Europe. Discover the vast and remote powder terrain of Prokletije! 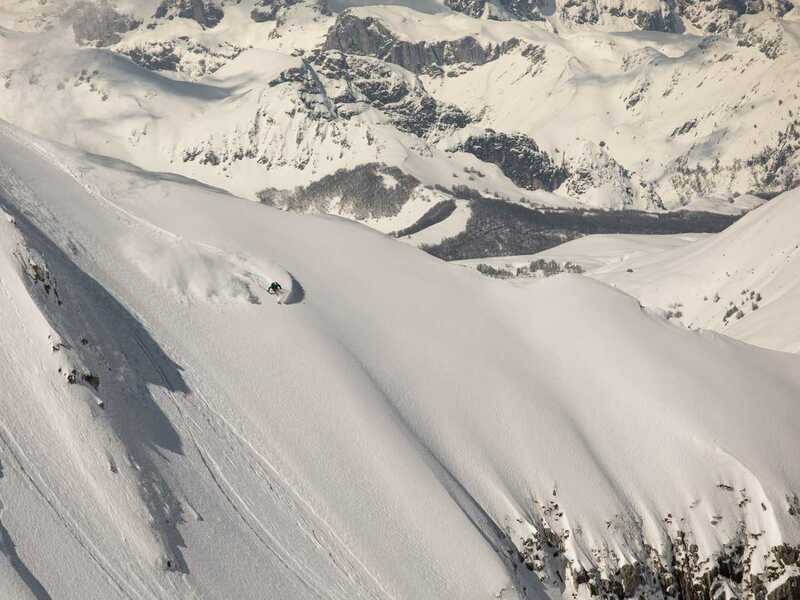 Discover one of the most remote heliskiing areas in the world. 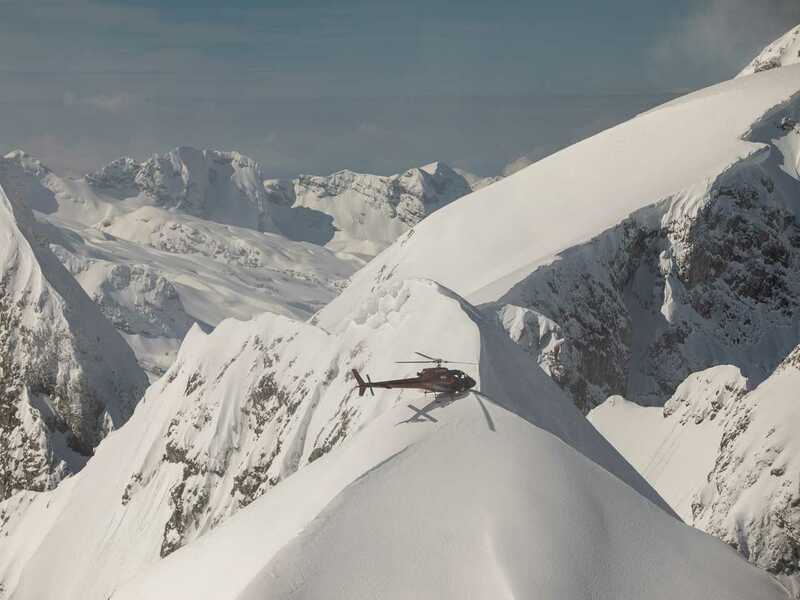 Reach amazing powder terrains with short heli flights. Enjoy breathtaking views of the Albanian Alps and surroundings . 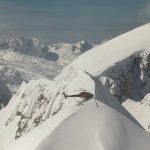 Are you looking for an unforgettable heliskiing experience? Then this trip is for you! 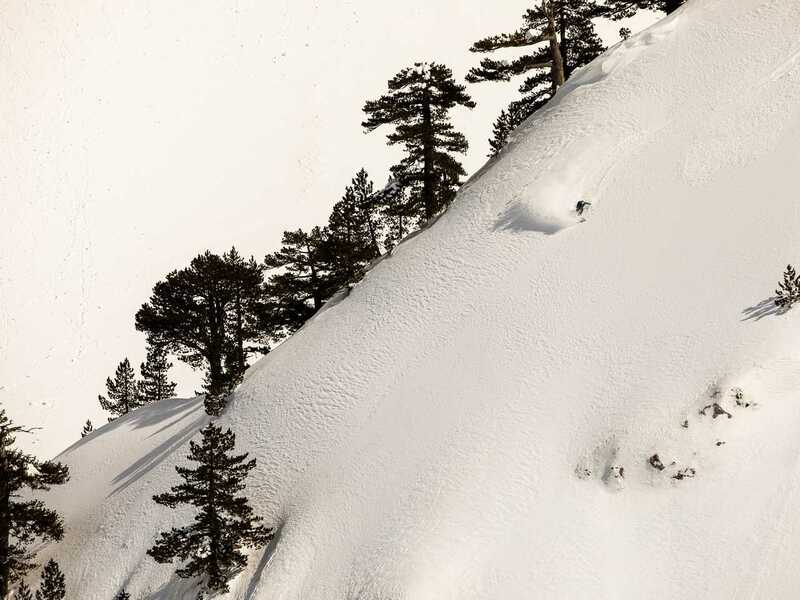 Spend a week exploring the most amazing powder areas of Prokletije, in Eastern Europe. 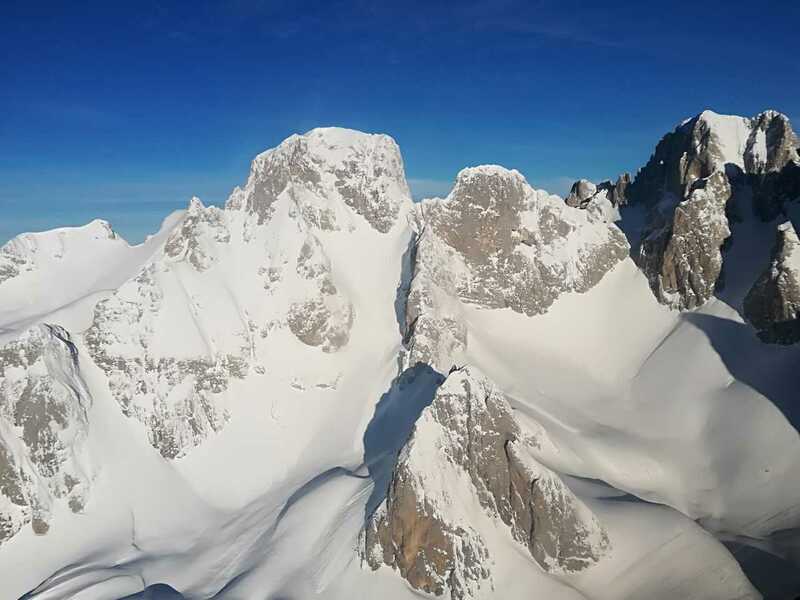 Also known as the Albanian Alps or the Accursed Mountains, Prokletije is a mountain range that belongs to the Dinaric Alps. It is located in the western Balkans, extending from northern Albania to Kosovo and eastern Montenegro. This is one of the snowiest and most unexplored areas in the entire Europe. 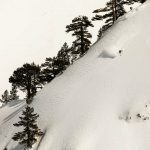 Its steep slopes are covered with top-quality powder snow and surrounded by beautiful lakes, rivers, and valleys, and the southernmost glaciers in the continent. On this week trip (6 days of skiing) our base will be the Valbona Valley. Each day, after a 6 to 10 minute heli-flight, we will reach an awesome different spot. A large expanse of untracked terrain awaits us, we will enjoy drops of 400 to 1600 vertical meters! This tour is based on 4 hours of total flying time. 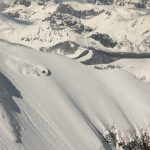 If you are one person or a group of four or less, we will share the heli with other groups with a similar skiing level. However, if you are more than four, you can ask for a private trip. Take a look at the extra information below! 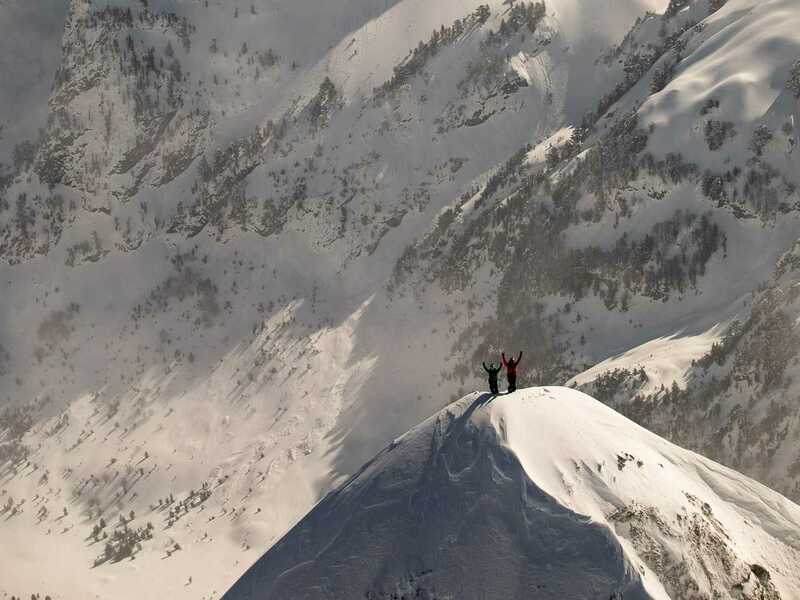 So, do you want to live an unforgettable skiing adventure? Contact me for this heliskiing week-trip in Prokletije, the Albanian Alps! 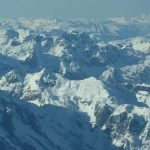 I also offer a heliskiing trip in Mount Stol, on the border between Austria and Slovenia. Check it out! Valbona Valley. Three options where to fly: Pristina, Kosovo – 180 km and about 3 h drive from airport to Valbona. Skopje, Macedonia – 225 km - about 4 h drive from the airport to Valbona. Tirana, Albania – 300 km and about 4.30 h drive from airport to Valbona. Ask if you need a transfer! I grew up in Slovenia with Julian Alps as my backyard. Expeditions to Himalaya started when I was 17, started steep skiing at 15, climbing big walls at 13 and it was a natural progression to BASE jump and to become a mountain guide- a job that feeds my soul. I have been to several climbing expeditions to Peru, Kyrgyzstan, Tibet, Nepal and India. 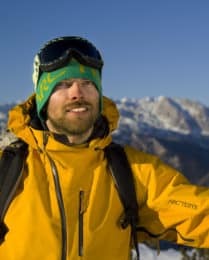 I'm an IFMGA qualified mountain guide as well as an instructor for future guides, ski instructor, certified helicopter operator and a Heli Ski guide. 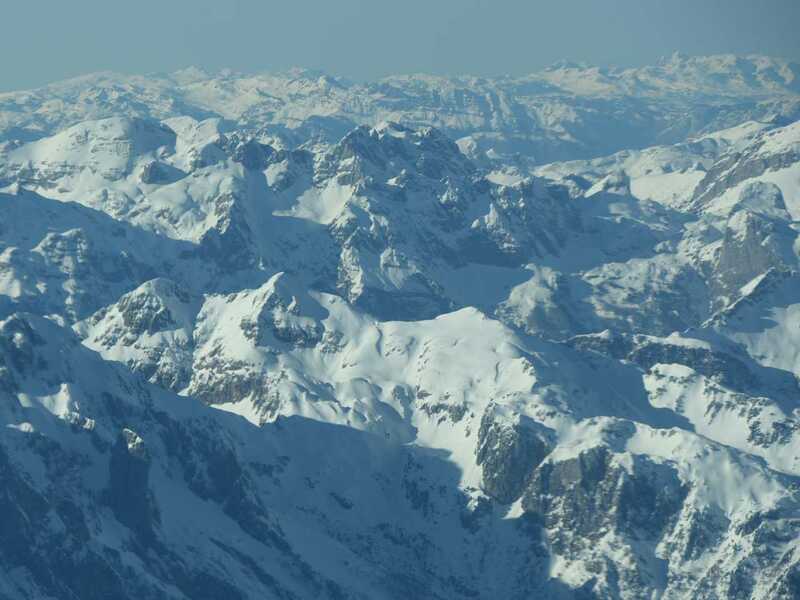 Although my work took me all over the world my favorite place is still in the Julian Alps. Sharing the hidden places in my Home Mountains with my clients, guiding and teaching them to explore on their own is has been my biggest passion for the past few years. Mountains are my passion. Winter or summer, climbing, flying through the air or skiing, it doesn't matter to me if I am guiding or having fun with friends. I simply get spaced out when I am in the mountains. Guiding for me is not a job - it is a state of mind and a lifestyle. you push yourself whilst staying safe. I couldn’t recommend it enough. everybody felt very safe thanks to Rock and his experience. the better. Both the guide and the ascent were a 5 out of 5! decision to go for it on the same day that we had walked up to the hut. I felt safe all of the time with Rok and I would look forward to climbing with him again sometime in the future. The other members of the group were very pleasant company. We had a fantastic experience with Rok. We booked a 2 day trip to climb Mt. Triglav in June, 2015. The first 2/3rds of the ascent were pretty easy. During this part Rok was less of a technical guide, but was very valuable in setting a good pace to reach our hut on time, knowing when to stop for rests, knowing where the next mountain spring was to refill our water, and providing us with some information about the social history of the area, and some natural history about the mountains and forests we were walking through. It really increased my appreciation for the area and helped me enjoy the trek that much more. On the second day we climbed to the summit, and this is where Rok’s experience and guidance proved invaluable. The trail led us along numerous ridges, with shear vertical drops on either side, and near vertical climbs up shear rock faces, some with, and some without a via ferrata to tie off to. I found it quite nerve-wracking, and would not have been able to do it alone. Rok was very calm and reassuring the entire time, giving gentle reassurance and encouragement, which really helped. In addition, he took our safety very seriously which gave me the confidence to continue to the summit. The landscape and scenery around Mt Triglav is absolutely stunning – I have a fantastic time, and would not have been able to enjoy it (or complete the trek even) without the help and guidance of Rok – he really does rock (I’ve been waiting this whole review to squeeze in that pun). I could highly recommend Rok and Vertical Adventures to anyone looking to do some exploring and adventuring in Slovenia. everyone interested in adventures and life-long memories.